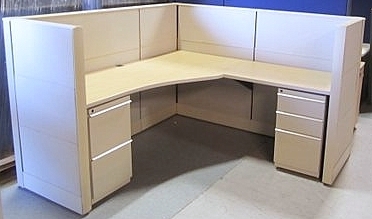 Knoll Dividends 6×6 Workstations. locking BBF and FF pedestals are included with each station. There is also a shelf. Product has tan fabric on the 49″ high panels. Very clean as-is condition. Product is sold based on shared center panel installation. Free design is available.